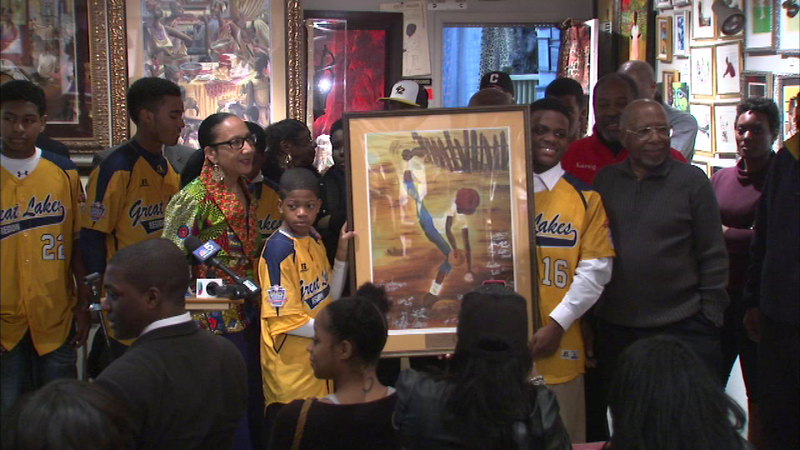 The Jackie Robinson West Little League team received a special honor Sunday at a South Side art gallery. CHICAGO (WLS) -- The Jackie Robinson West Little League team received a special honor Sunday at a South Side art gallery. State Senators Jacqueline Collins and Emil Jones led a celebration for the players at The Woodshop, an African and Caribbean art gallery on East 75th Street. Players received reproductions from famed artist Annie Lee. The piece depicts a young boy pitching in a sandlot baseball game. Last month, Little League International stripped JRW of their national title after it was determined that some of players lived outside the team's boundaries.